The club currently uses Facebook, Twitter and You Tube as its social media accounts. 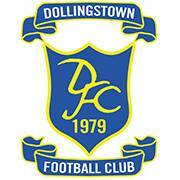 Facebook – The official Facebook account “Lisburn Distillery Football Club” currently has over 2000 followers. This is where you can find all the latest news from the club. Give us a like to keep up to date on all things Lisburn Distillery! Twitter – The official Twitter account is – “@distilleryworld”. There are nearly 4000 followers to this account. This is where we will provide all the latest scores in our matches as well as breaking news. You Tube – Lisburn Distillery Football Club **OFFICIAL** our You Tube channel has only recently been set up. This is where you will find all the latest LDTV episodes. Each episode has attracted many viewers, from all over the world! Check out the LDTV page on this website for some more information, and click the subscribe button on our You Tube page so that you don’t miss a video! We would love to hear from you on any of our social media outlets, so send us a message through any of them if you would like to get in touch!